« Great experience at Anido 2018! Thanks to a new professional machine Joels is able to produce an even better eggfood. The composition is unchanged, but the texture of the eggfood is improved in every way. Because the ingredients are mixed better, the structure is softer and more moist. And that results in an excellent acceptation by your birds! 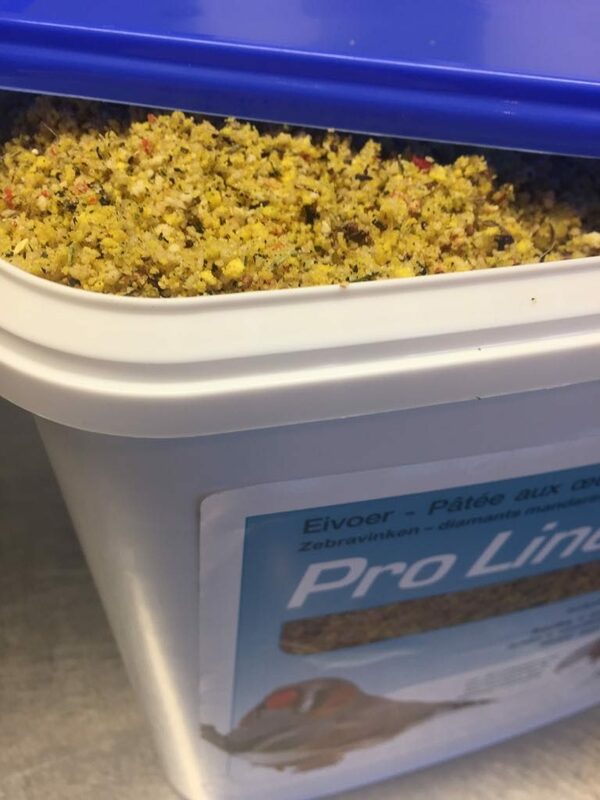 4 Responses to Pro Line Eggfood: even better than before! Comment se procurer les aliments en France? Dear Sir, thank you for your interest in our products! I have sent your question to our salesteam, they will contact you about the availability in France. thank you for your interest in our products! Please send an e-mail to pieter@joels.be with your question. Thank you!